To see the future of show business – really, of all business – you need to look to the future you’ve already seen. Surely you remember The Jetsons. George, Jane, Judy, and Elroy had those massive video screens in every room of the house. They watched “television” on them. They made “phone calls” on them. They ordered dinner, did their banking, and pretty much did the majority of their life business via those screens. They even had smaller versions of them in their spacecars, on their wrists, and pretty much everywhere else they looked. How do you think they received the content that they watched on all those screens? Today, we call it broadband Internet, or in our spacecars – er, connected cars – wireless broadband. We are moving from a world where content is delivered via broadcast to a world where content is delivered via broadband. Luckily, that can be a very good thing for you. The Jetsons was set in the year 2062. Things are moving a lot faster than William Hanna and Joseph Barbera anticipated. While the spacecars might not be here for a while, the real Jetsons Future – the one with the ubiquitous video screens wired to the Internet – is arriving right now, and it’s bringing massive change. Television numbers – ones we’re all familiar with – tell an amazing story. Quick flashback: Dynasty topped matters in 1984-85…with a 25. That’s a 25 rating, not a 25 share. (Let’s pile on a bit. 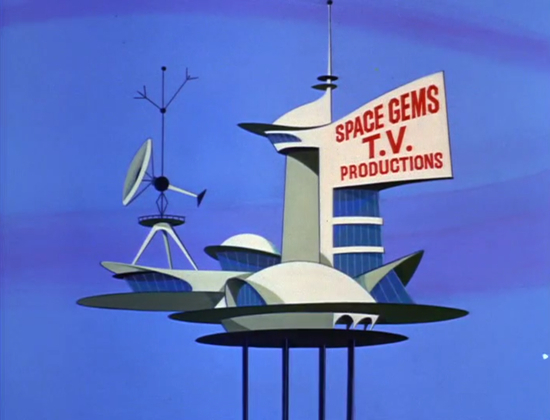 In 1962, when we first met The Jetsons, Wagon Train rolled out a 32 rating and a 53 share.) In the 2013-14 season, it was big news when one non-sports series – Big Bang Theory, of course – topped a 6-share…in demo. 2014 is the first year that a majority of Americans will consume audiovisual content – what we still call TV and movies – digitally. And yet, things are going to move much more quickly in the future. Take a look at these numbers from 1950, when television was just becoming a thing, and you’ll be floored. Welcome to the world of media convergence. Audiovisual content: That’s content with video and audio, including feature films, television, YouTube videos, etc. Audio-only content: That’s radio content – both talk radio and music-oriented radio – but it’s also music and most podcasts. Print content: Newspapers, magazines, books, and any other medium featuring the written word and photographs. Okay, so that’s all quite obvious, but I mention them now to make a point. We tend to think of the media that deliver these types of content as being somehow different from each other. And they are. Sort of. But not really. Not any more. Here’s the website of a great radio station. Interesting observation: the “radio station” has a lot of content on its website, very little of which is audio-only content. It has audiovisual content. It has plenty of content that is, by traditional definitions, “print” content. Similarly, here’s a great print website. The website has lots of audiovisual content on it, which is odd, since – at least in the past – a newspaper featured text and a few fixed photographs. Now, when I go to the website or open the newspaper’s app on my tablet or phone, I can scroll through non-fixed photos, meaning I can see slide shows where once only a single photo would have been visible. Oh, and I can watch plenty of documentary videos. Whatever kind of content you think you make, you need to realize this: you’re competing with all three types of content, and if you’re not already creating all three types of content yourself, you certainly should be. How your content is delivered to, and consumed by, your users is inextricably intertwined with the content itself. Think about audiovisual content, TV and film. I constantly refer to a speech Kevin Spacey gave last year because he really nailed the impact of The Jetsons Future on traditional TV and film. More and more entities are creating audiovisual content than ever before. Many of those entities are not exactly amateurs either. Some – like radio talent – may be just learning how to create and assemble content that includes video, but they’re quite aware of how to make content that connects emotionally with an audience. The new content creators have no need to respect the traditional forms of audiovisual content: half-hour television comedies, hourlong TV dramas, and 90-150 minute feature films. They can be far more creative in the form their content takes, meaning much of it is better suited for the era of short-form content than that made by traditional creators. So you don’t work in TV or film? Actually, in a world of media convergence, you do. Radio broadcasters and print writers alike need to think about making compelling audiovisual content because your audience expects it from you. They may not turn on your radio station or open up your magazine and expect anything but what they’ve always gotten, but in The Jetsons Future, the audience is going to seek you out online – and your content is already being distributed online – and the audience does not expect the same things from you online than it does when it turns on the radio, listens to your podcast, or opens up your magazine, book, or newspaper. It’s scary stuff, sure – it’s always scary when the world changes and changes quickly. Yet, when you get past being scared, the news is exciting. As Katie Couric is about to realize, you can reach far more audience than ever before. Because the audience has more ability than ever to time-shift your content, you’re not going to lose audience simply because they can’t tune in when your program is on. Barriers to entry have fallen; now, anyone can distribute their movie, music, or book to the masses at extremely limited cost. According to CBS, “television” advertising has higher profit margins on the internet than it does on broadcast television, making matters more profitable for producers, broadcasters, and for talent. (Assuming, of course, we start negotiating both guild and talent agreements in a manner that recognizes this realities.) Everybody can win. There’s obviously so much more to The Jetsons Future than all this, but we’re approaching the land of tl;dr.
How will you change when The Jetsons Future arrives?